I took of my factory skid plate and left it at the front of my house and someone stole it overnight. My family and I are doing a small trip on Saturday so there isn’t enough time for me to source down another one. 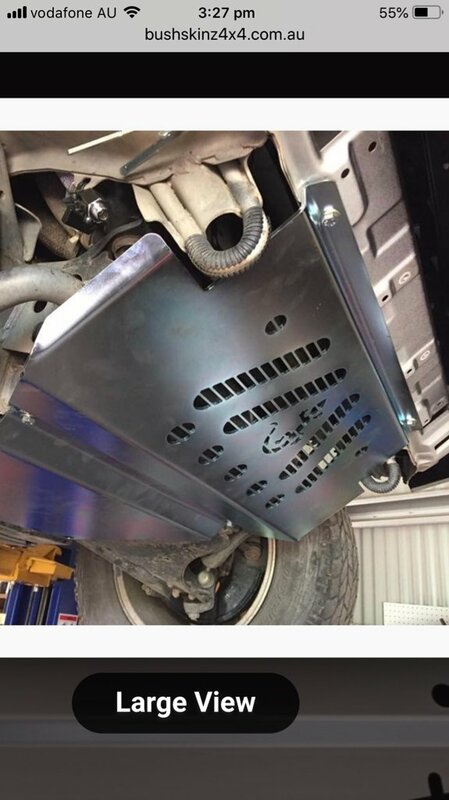 Does anyone have the dimensions of the factory skid plate? I’d go measure the dimensions myself but my car is at my mechanics till Saturday morning. Also does anyone have any tips on fashioning one myself. I’m thinking about getting an aluminium sheet from Bunnings and drilling some holes for now and purchasing a boo’s brand bash plate. Any tips would be appreciated. The bash plate or inter cooler plate I still have. I just mean the skid plate. Last edited by 4wdbug; 1 Week Ago at 04:17 PM. Reason: . I’m thinking about getting an aluminium sheet from Bunnings and drilling some holes for now and purchasing a boo’s brand bash plate. Any tips would be appreciated. Hmmm, do you have the ability to bend the alloy? I actually have the front bash plate. I am referring to the plate further back. The skid plate or sump guard. Edit - there was a sump plate for sale on Gumtree in the Brisbane area, didn't take a lot of notice cause I thought you needed a IC plate. Thankyou. I’ll check gumtree now. We are going to rainbow beach camping at teewah for the night.